AYAS CUSTOMS is a small motorcycle outfit based in PUNE. Building custom motorcycles on an order basis is what they do. They modify existing bikes as well. 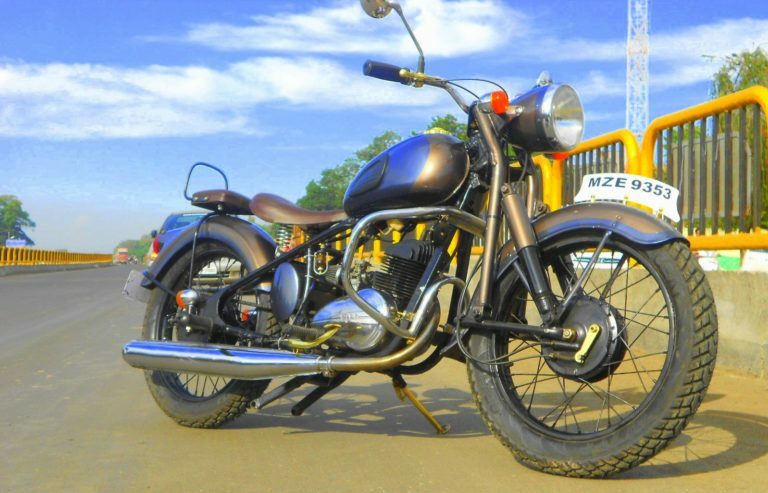 Ayas means precious metal in Sanskrit and we certainly believe that every bike is a precious metal indeed for his owner. Building custom motorcycle and taking its care is what they do, but on an order basis. In this two partners are involved Sagar Patekar and Sushil Yebaji. 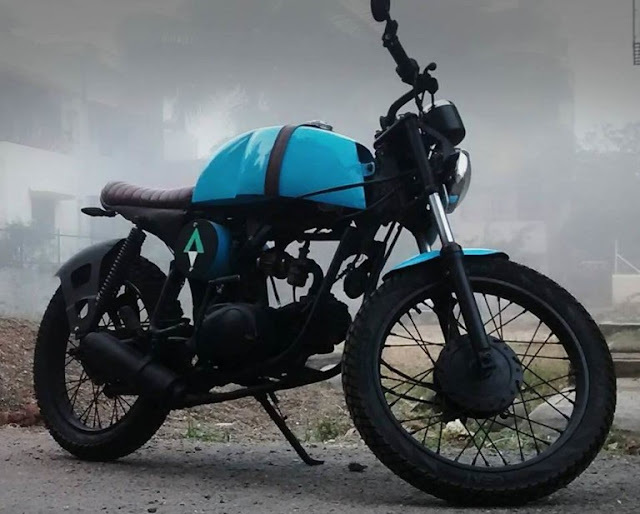 They have launched first designed and fabricated Cafe Racer on a 110cc Hero Honda CD Delux with custom handmade fenders, leather work, brat styled seat, paint job and many other alternation and then second bike is Restored Rajdoot 175. The overall modification reduced the weight by 20% which is a additional performance ought. Cafe Racer on a 110cc Hero Honda CD Delux with custom handmade fenders, leather work, brat styled seat, paint job and many other alternation.